From 1655, the Bank of Amsterdam (the Amsterdamse Wisselbank) was based in the new Amsterdam city hall on the Dam Square - the current Royal Palace. 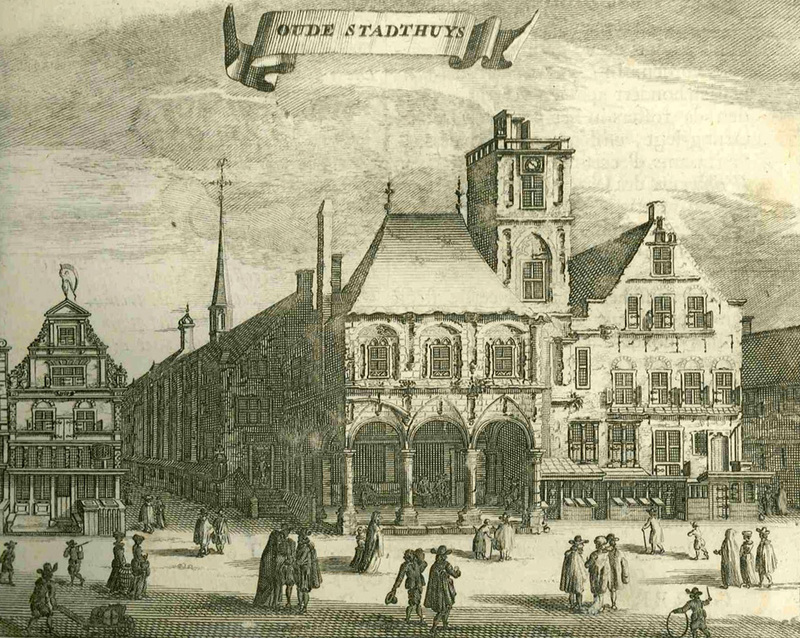 The old medieval city hall of Amsterdam, where the Bank of Amsterdam (the Amsterdamse Wisselbank) was based in its early years. 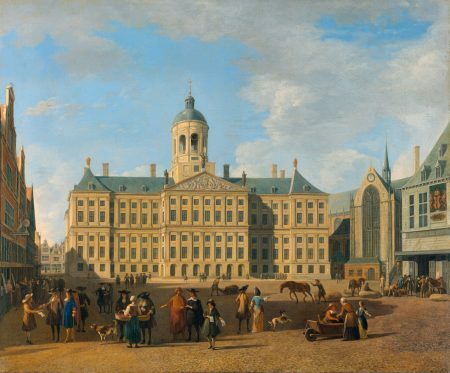 Together with the Bank of Amsterdam (the Amsterdamse Wisselbank), the Beurs van Hendrick de Keyser played a pivotal role in international trade in Amsterdam in the 17th and 18th centuries. 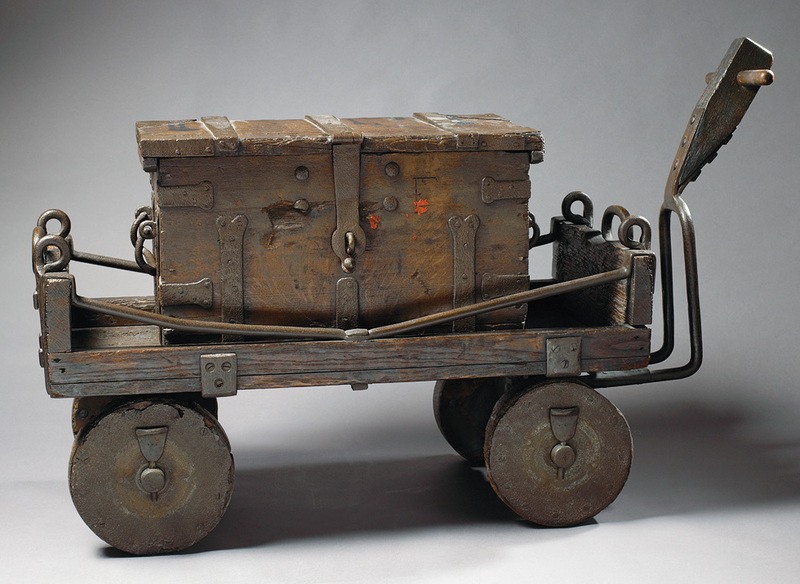 Money cart that was being used to transport coins within the Bank of Amsterdam (the Amsterdamse Wisselbank). The Bank of Amsterdam (the Amsterdamse Wisselbank), established on January 31, 1609, played a pivotal role in the 17th and 18th-century financial center of Amsterdam. Coins from a wide variety of countries and regions circulated, but a good system to determine exchange rates did not exist. At the bank, people could exchange their coins for fully fledged and widely accepted trade currencies. 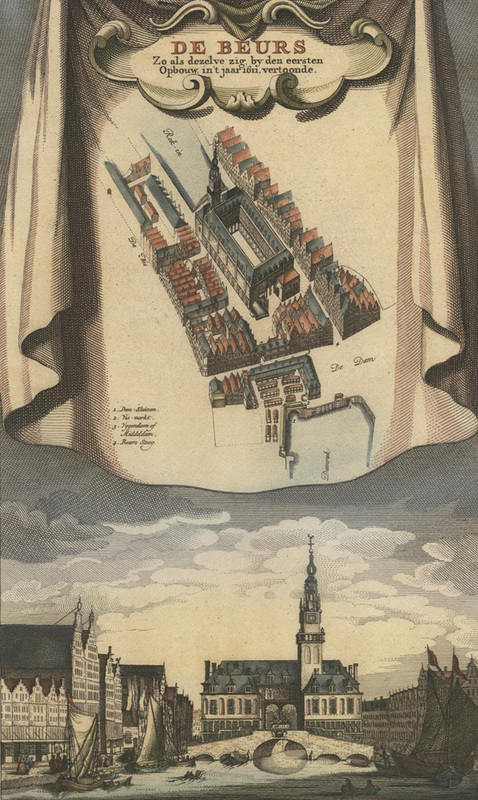 Just like the Beurs van Hendrick de Keyser, the Wisselbank was an initiative of the Amsterdam municipal authorities that conceived it to be their task to facilitate trade in the city in the most effective way possible. Exchange trading gained great momentum when the bank allowed for paper transactions. With the sole option of using coins, it was physically difficult to complete share transactions that involved several thousands of guilders. Therefore, every exchange trader that mattered had an account at the Wisselbank. The Wisselbank introduced a book-entry system that enabled customers to settle payments with other account holders. Long before the 19th century, when the first clearing organizations emerged, the Wisselbank, in practice, already served as a kind of settlement company for stock trading. The VOC was an account holder, too, and it only made payments through the Wisselbank. The customers of the bank felt secure about the fact that their capital was being kept in the basement of the city hall and that the city of Amsterdam guaranteed their assets. The former entrance of the Wisselbank in the old city hall on the Dam Square – the current palace – is still marked by an image of Mercury, the Roman god of trade. Partly because of the Wisselbank, that would continue to exist until 1820, Amsterdam could develop into a global financial center. The bank guilder received a global status of reference currency and maintained this status until the 19th century. Then, this position was taken over by the British pound, and later still, the American dollar took over.